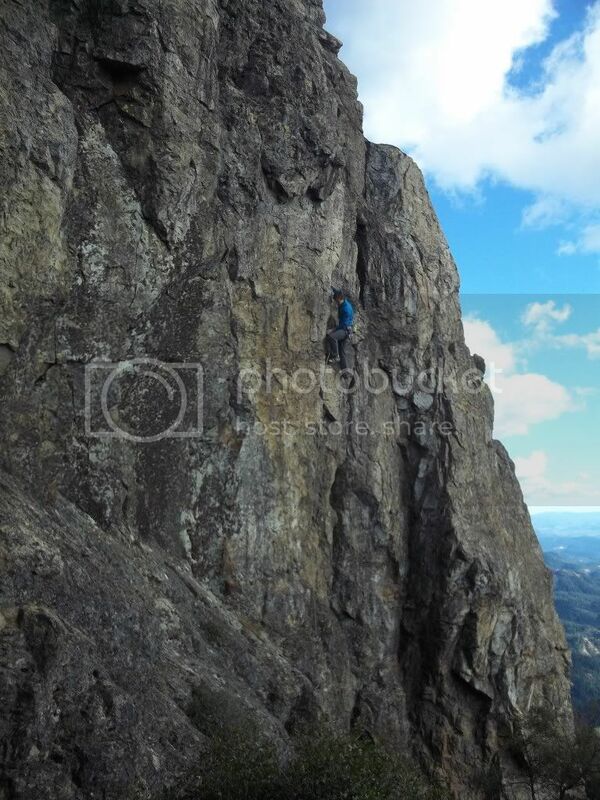 Over the past couple months five new sport routes went in near the North Summit. Probably the best rock in the St. Helena region, but the longest approach at 1.5+ hrs. Let me know if you want to check it out. 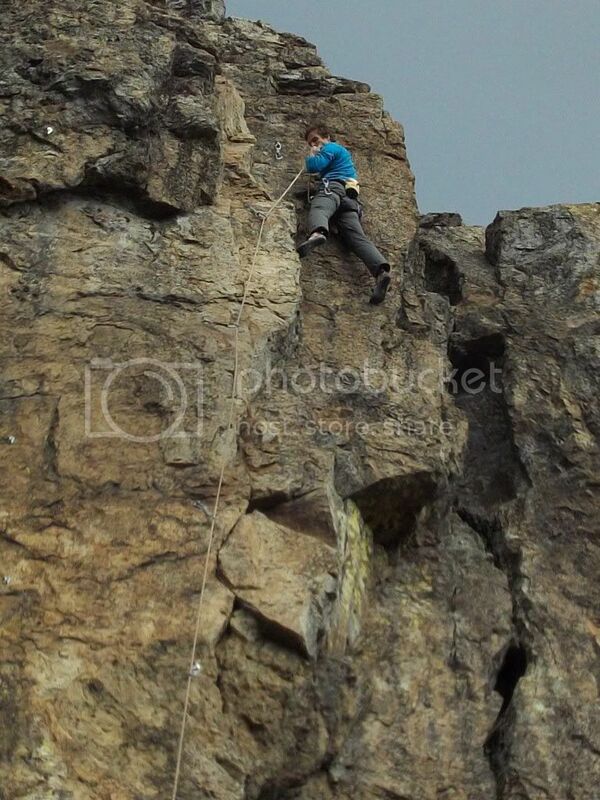 .10b, .10c/d, .11a, .11c, .12+, 70-75' routes. Also, Check out Thornburg's new guide book for beta on Kimball Canyon and Hailstone Rock. Did the .12 get sent? on the fin - what is the grade of the left most route and is there a new route around the corner to the right. Looks much more moderate than the others on the fin. had a fun day up at hailstone. really fun tr lines over the mini roofs left of the arete and the newer bolted corner to buldge climb has cleaned up and is really fun. finally climbed the crack on tr .9+ - awkward with lots of grunting. probably won't drag up gear to lead this. the trails are super awesome. thx trail gnomes. Yes, Tim sent the .12+ and called it "Wappos are Peoples Too." Such an outrageous line! Fin: Tractor Parade is left most .10a. The right most line is .10c~ish. i found your cleaning tool at the base. 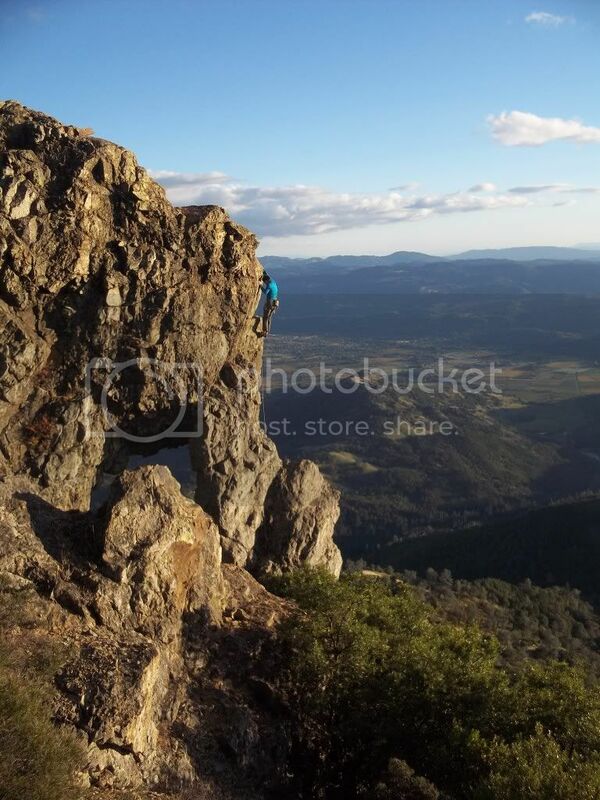 Met some fellow climbers at MSH from Palo Alto at random last Saturday. They had been up to MSH climbing a couple of times and w/Jim's new guidebook found thier way to Hailstone Rock. Andrew and Whitney ! Turned out to be a nice climbing day doing all the routes there ! Nice Eric. Did you send Hell Fire? Headed up the 128 on my way to Anderson Valley last week. 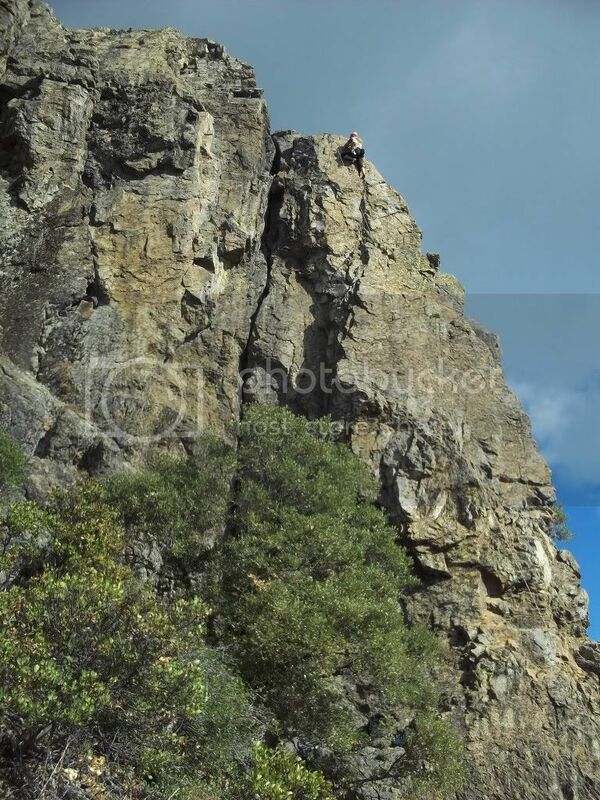 I'd never really looked at St. Helena from the NE before... there is a ton of rock up there! I imagine you guys have thwacked your way out to look at it? I think I also saw that Kimball Canyon area below... looks like a pretty area. I'll have to check it out one of these (dry!!) weekends. Yes indeed. The rock is terrible though. Nobody would ever want to climb up there. hey caught - your question was answered at the top of this page. ivory coast is a fun climb. thx eric. For sure worthy! Really enjoyed it. Nice easy approach slabs to a fun headwall. if you haven't already, check out the mountain project page - Floyd Hayes has included a bunch of obscure and random climbs, mostly out at farside. he has a lot of stuff for the quarry too. just saw on MP that the anchor bolts for synchronicity are gone. Floyd mentions in the old tradition page on MP that there are unnecessary bolts on top of the formation. 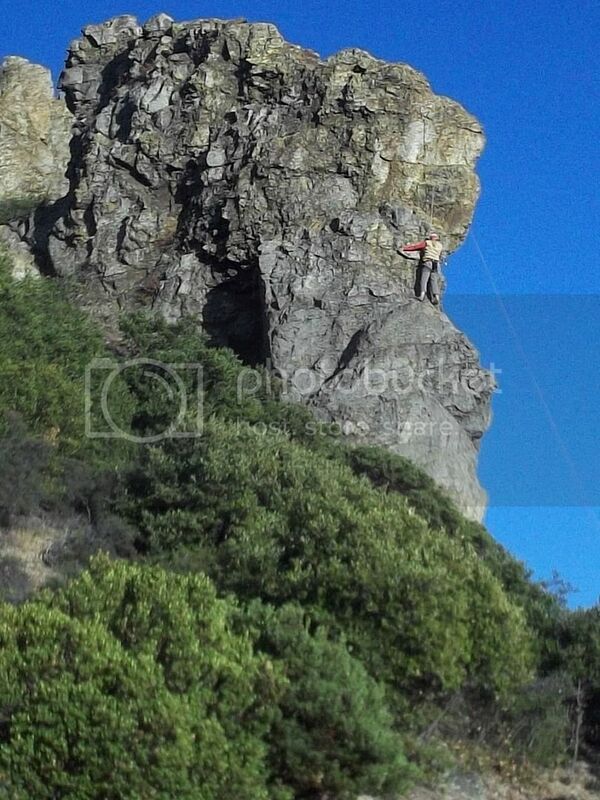 he probably didn't realize there was a sport climb on the other side. I doubt he would pull them though. Anyone with any info? Good to meet you Floyd last Tuesday at the meeting. Cya at the crag. Black Tower - Jerry, should we post the topo here? lead the 10b at wappo tower on Sunday. I know no one looks at this forum anymore, but if you do, you should seek out the approach beta from me or Jerry and go there. Great climbs. Sigourno got the FA on this one I think. It's really good and goes in the shade in the afternoon.